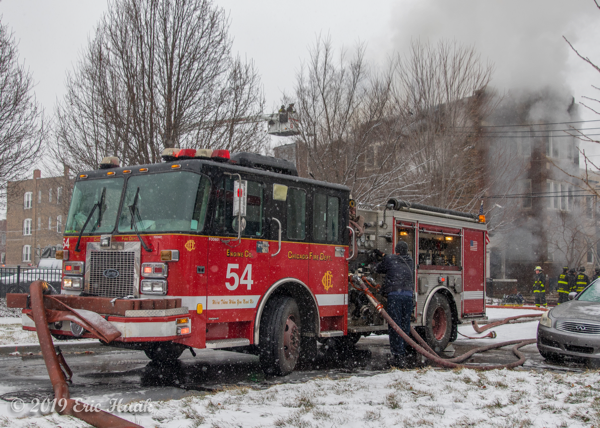 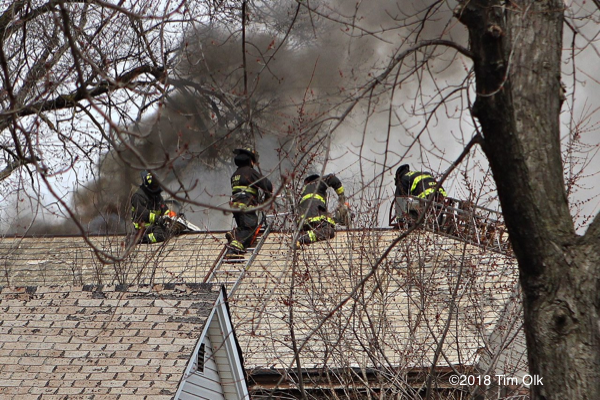 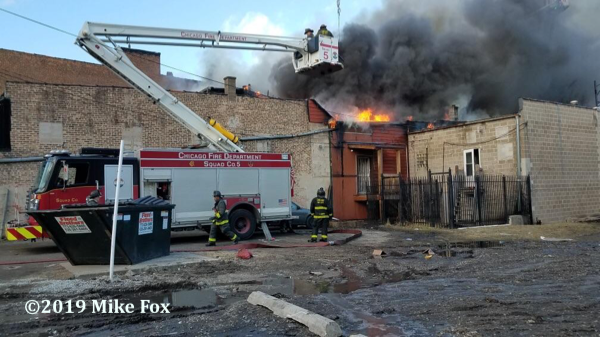 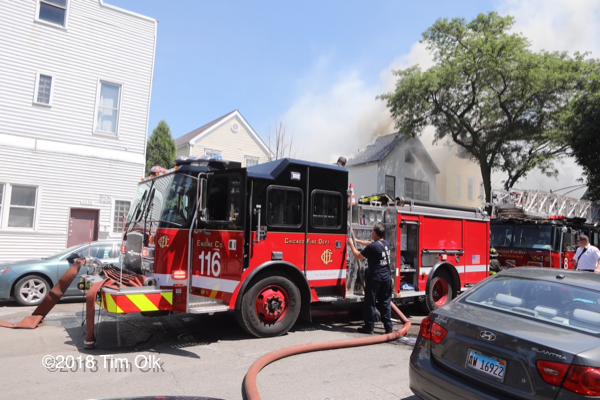 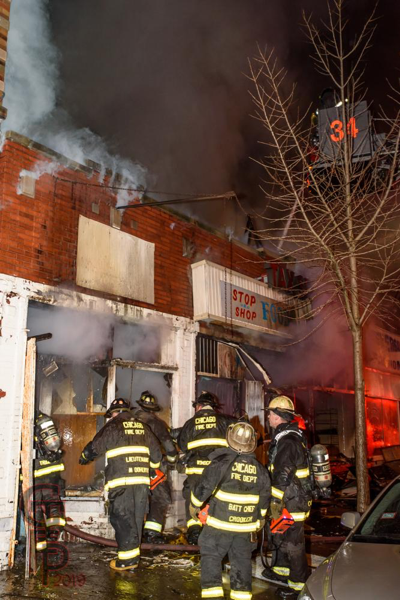 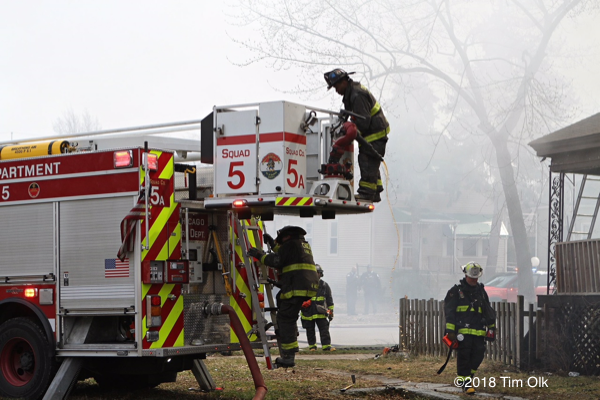 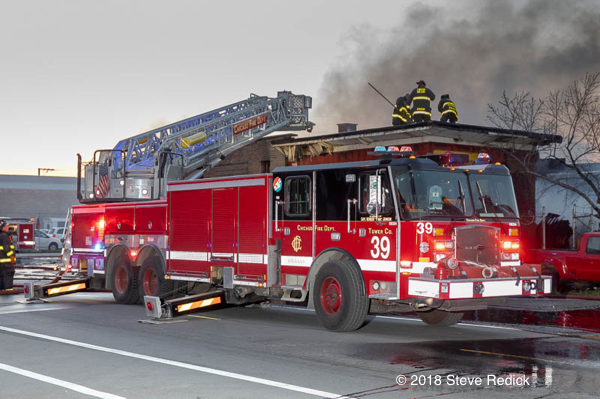 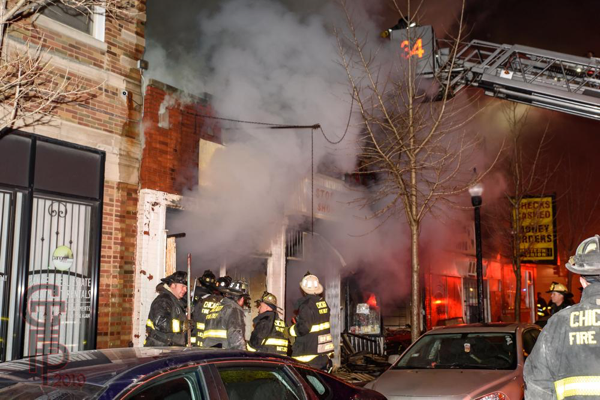 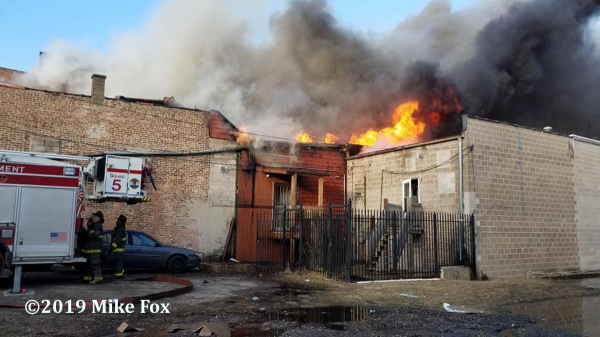 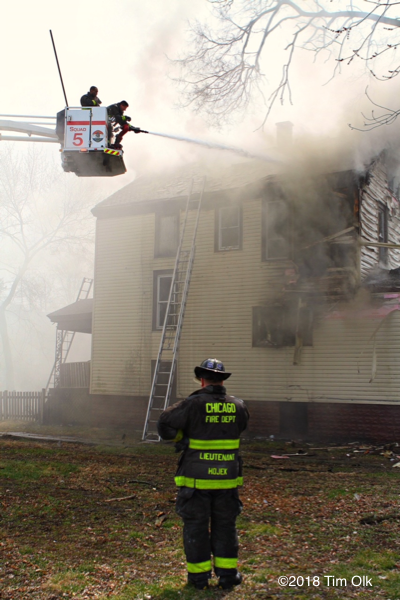 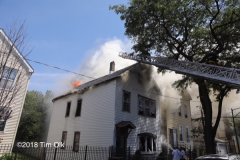 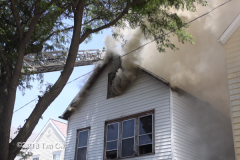 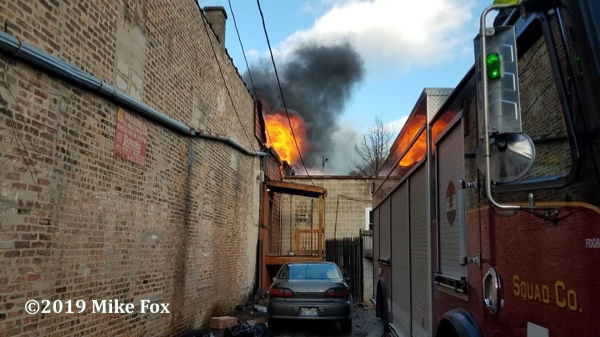 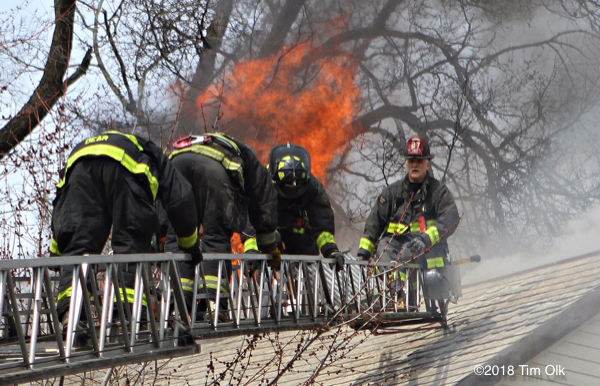 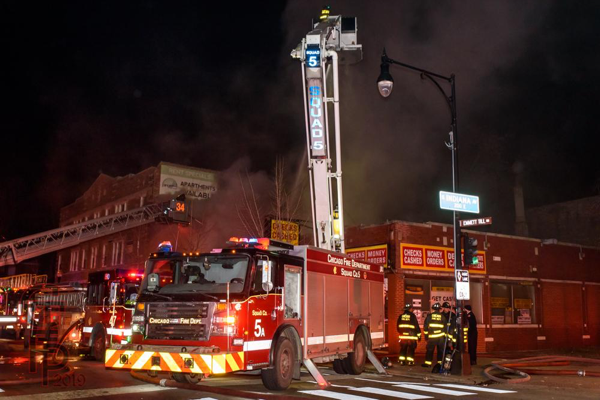 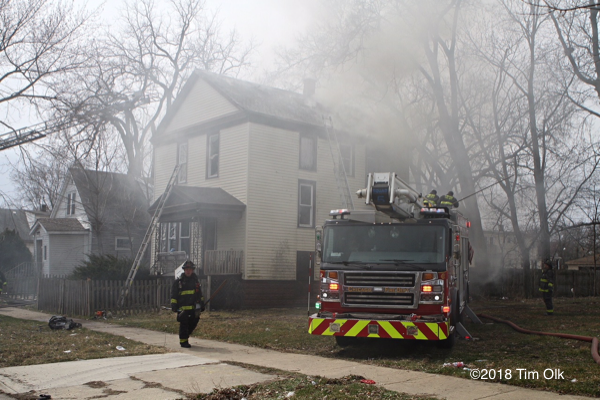 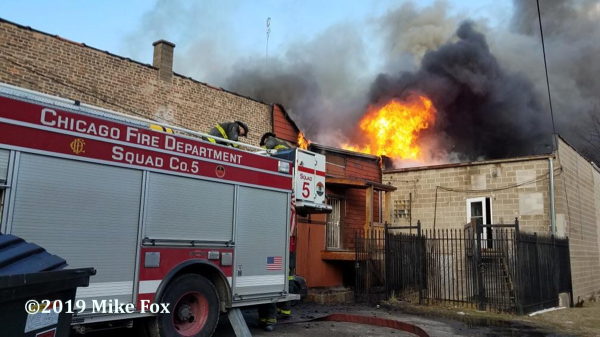 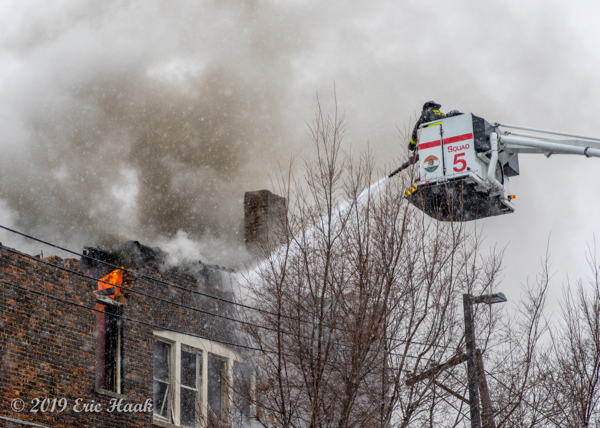 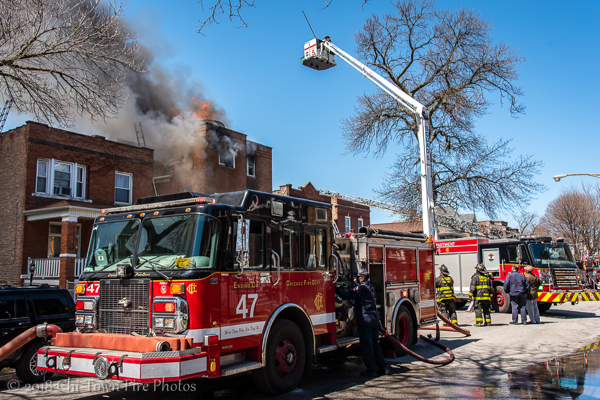 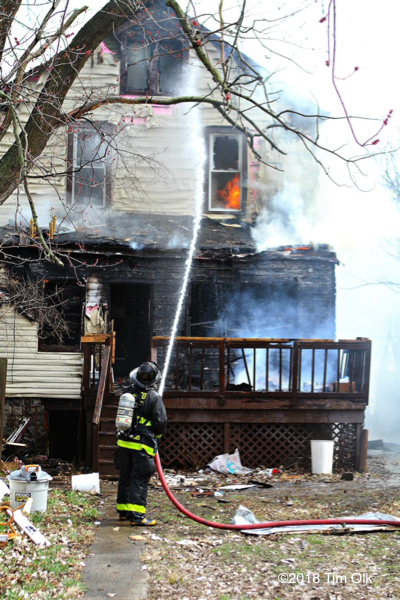 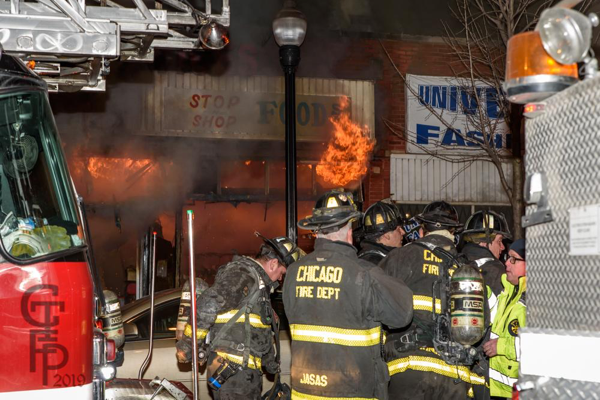 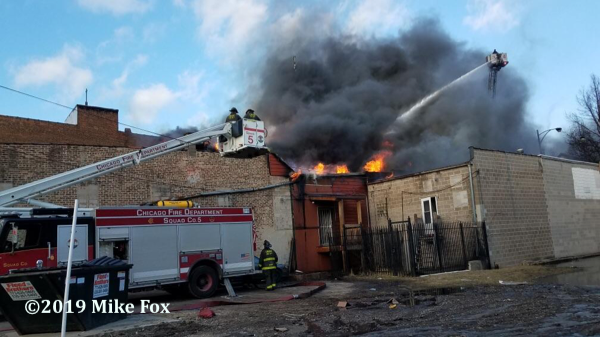 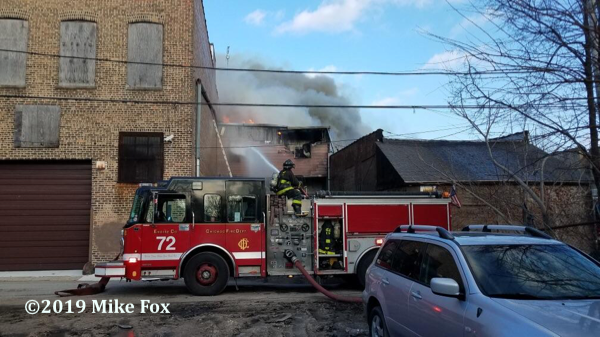 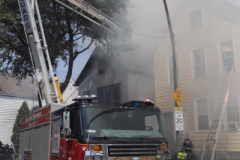 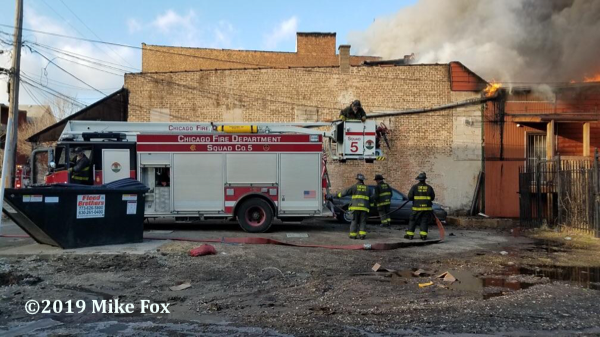 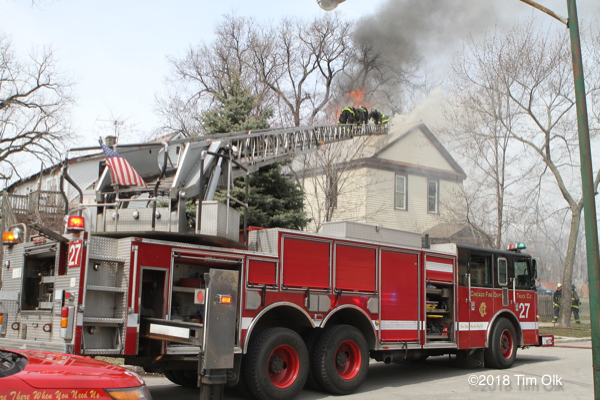 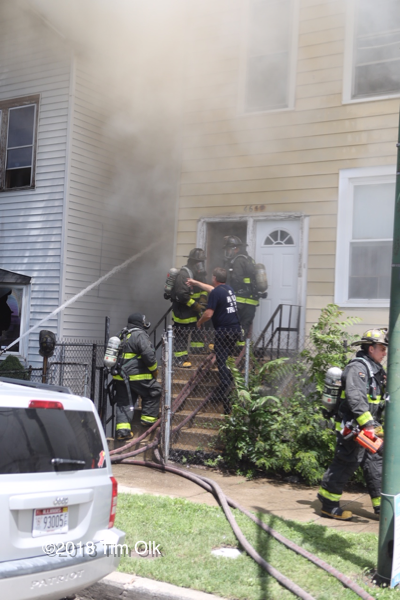 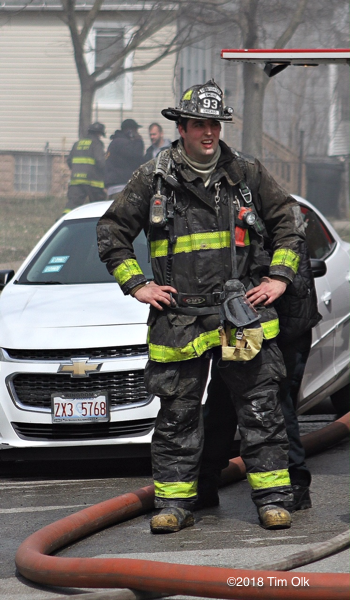 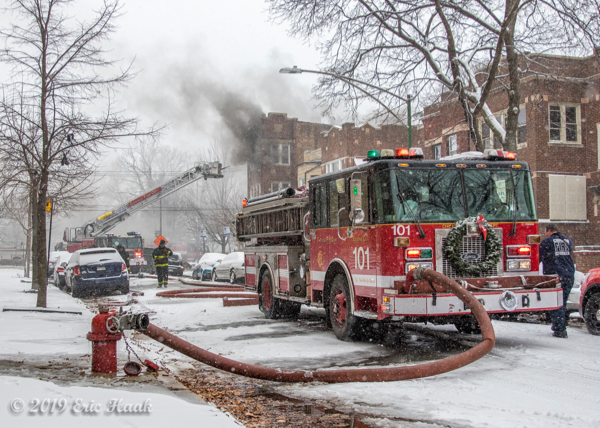 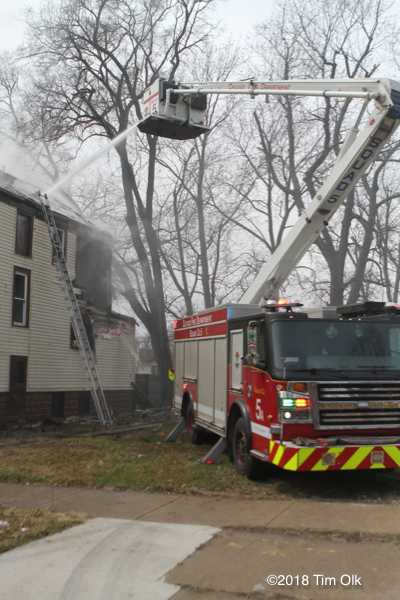 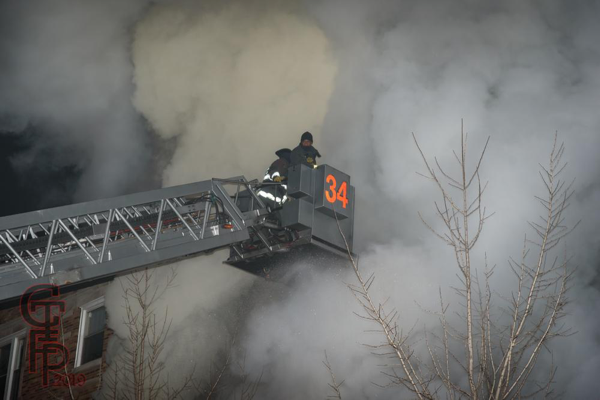 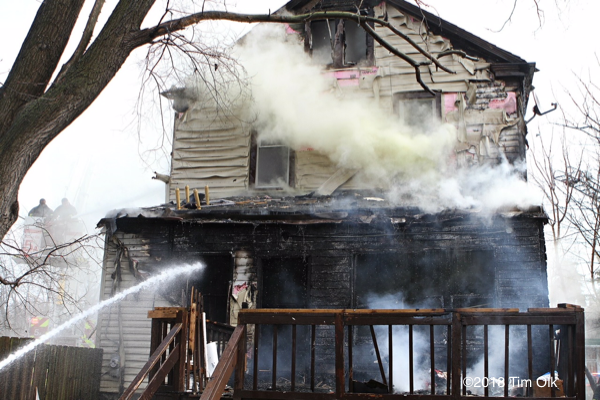 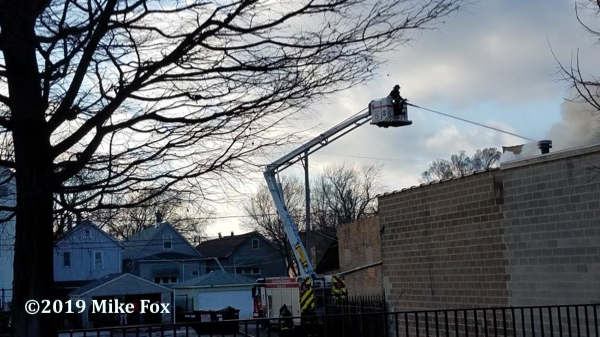 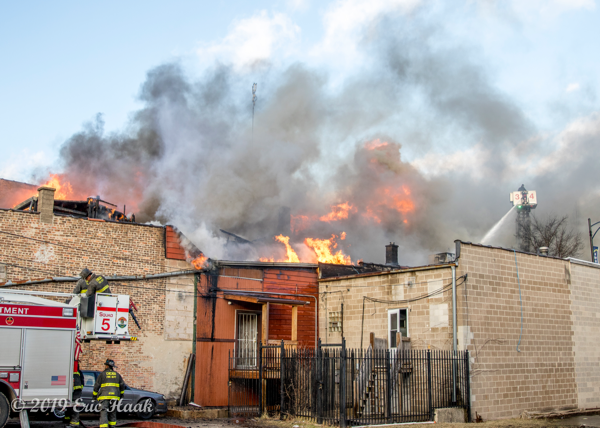 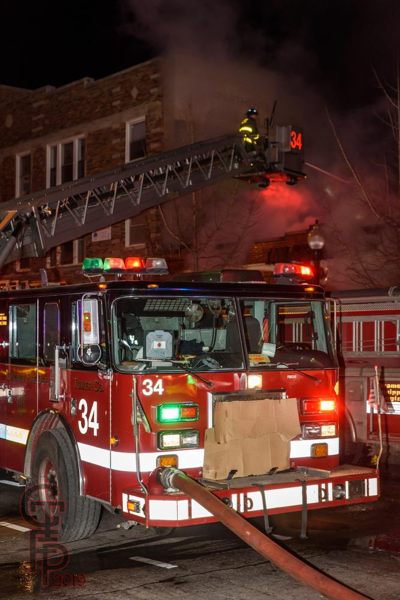 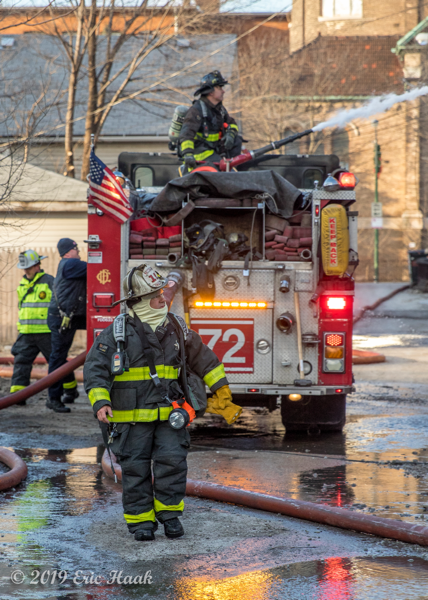 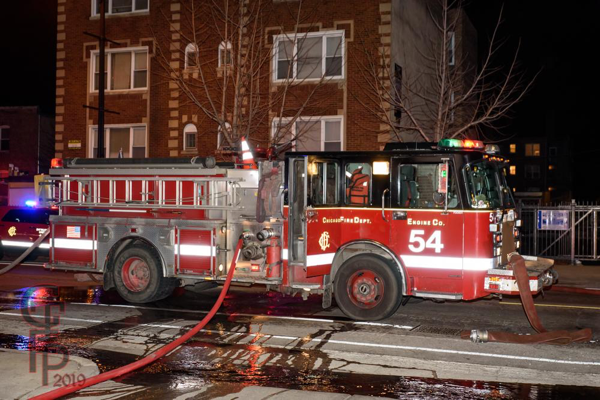 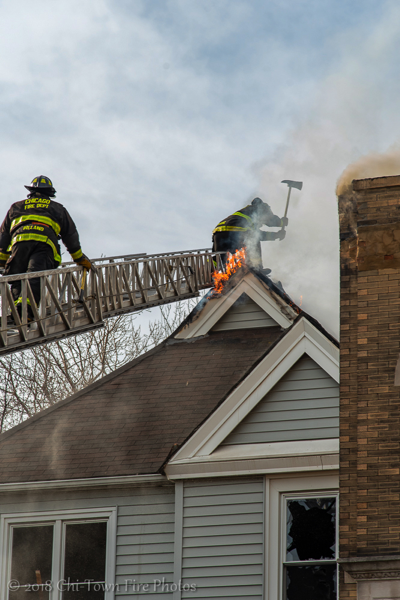 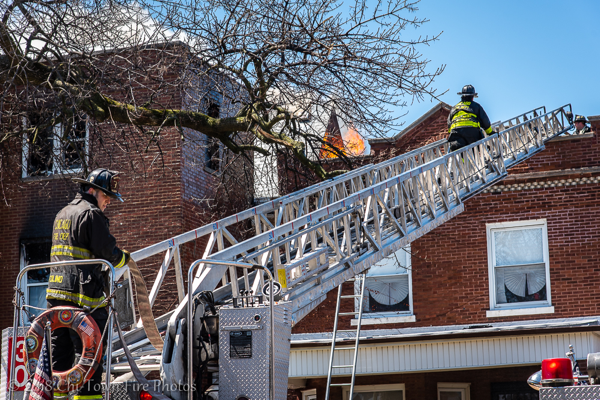 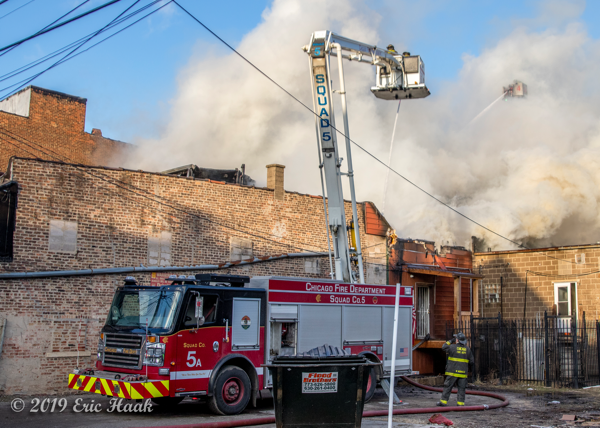 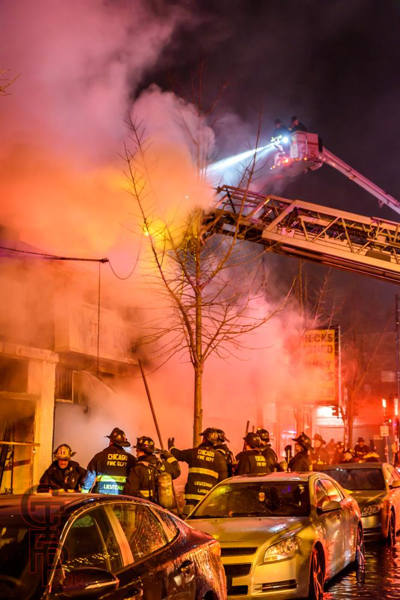 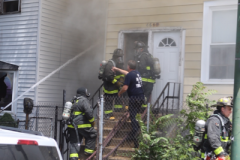 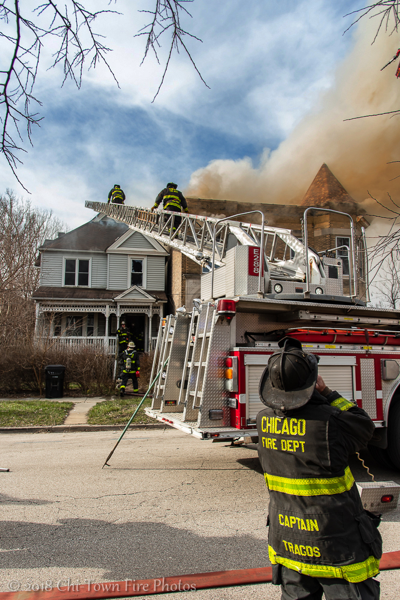 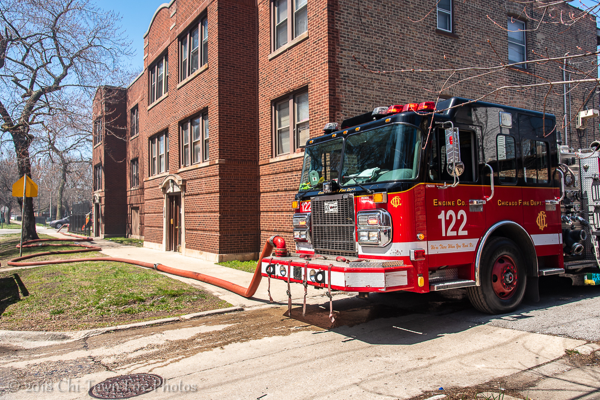 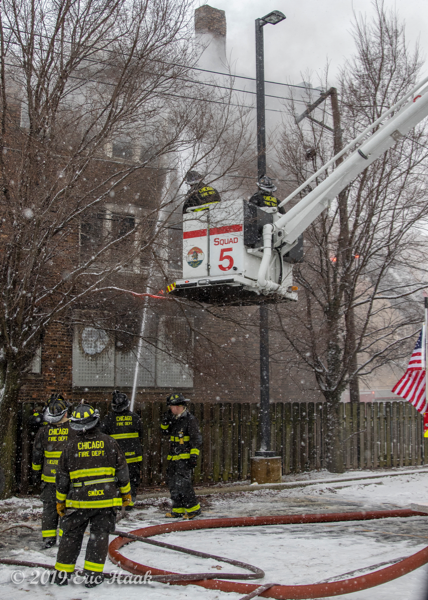 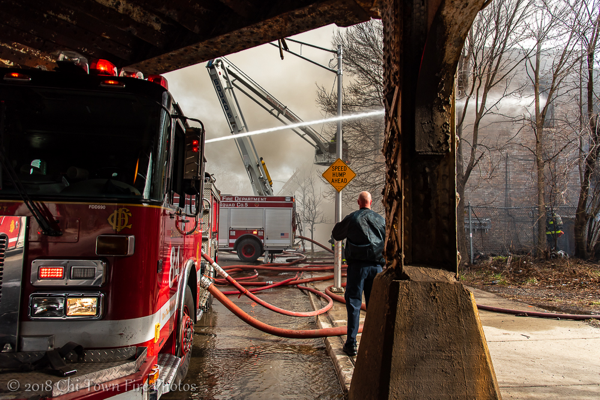 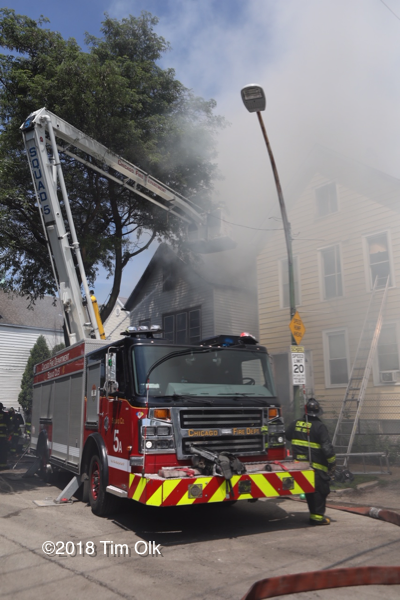 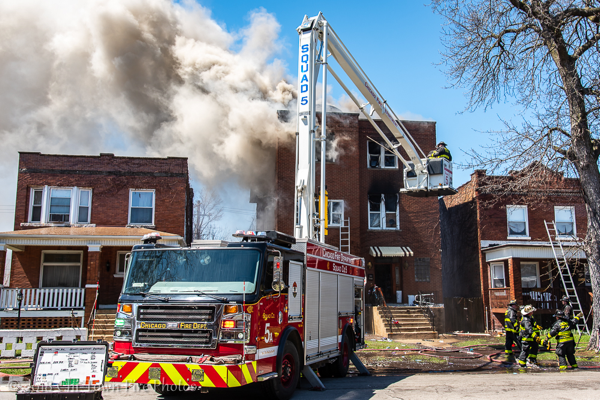 Chicago Still & Box Alarm: The 19th Battalion landed with this job a little after 10 this morning (1/12). 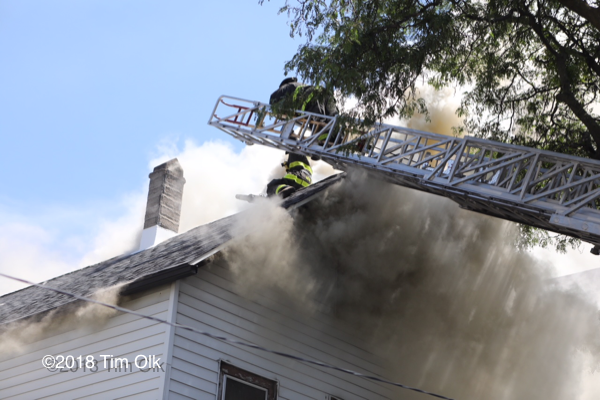 Images here were taken about 40 minutes in. 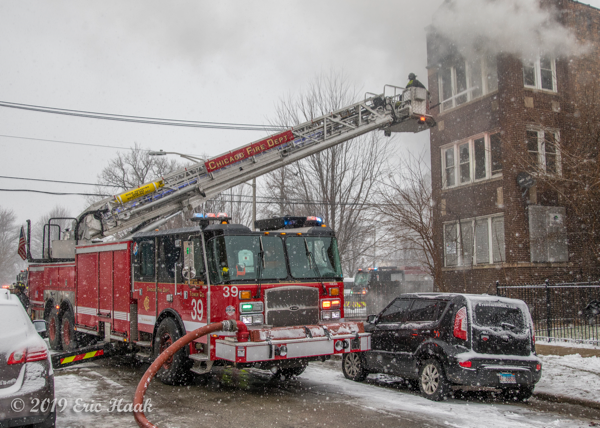 Companies worked throughout a steady snowfall. After initial interior efforts, companies went defensive. 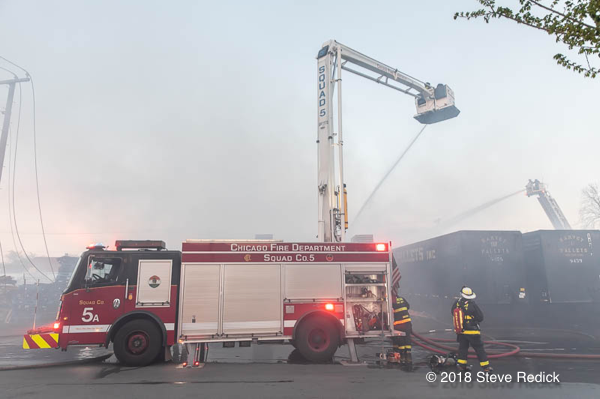 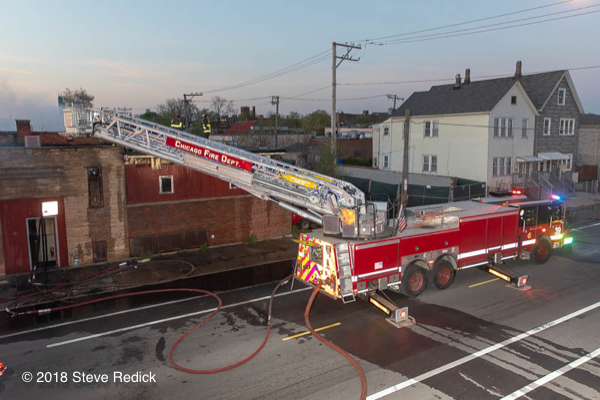 Truck 20 was originally in front of the building but was moved in order to bring in Tower Ladder 39 to fight the remaining fire in the cockloft. 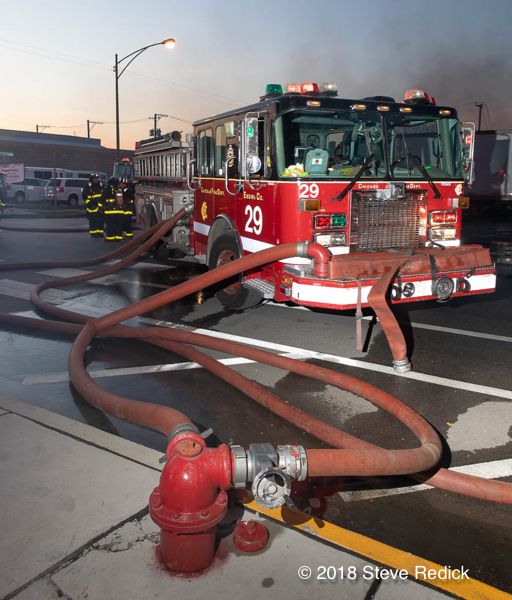 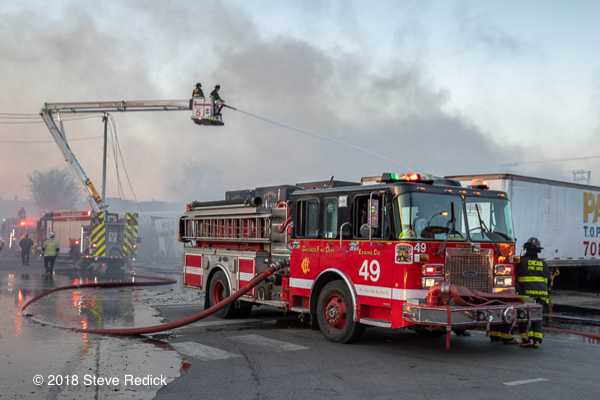 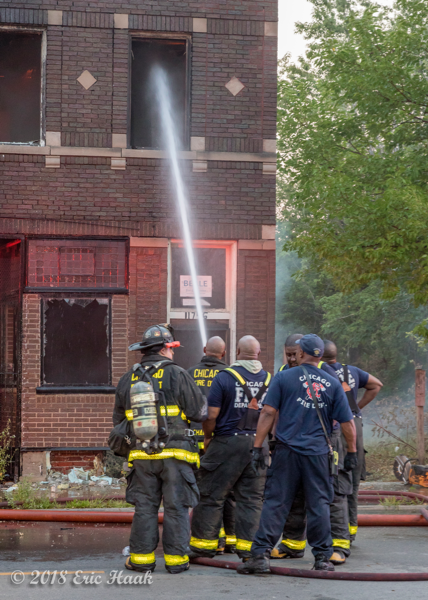 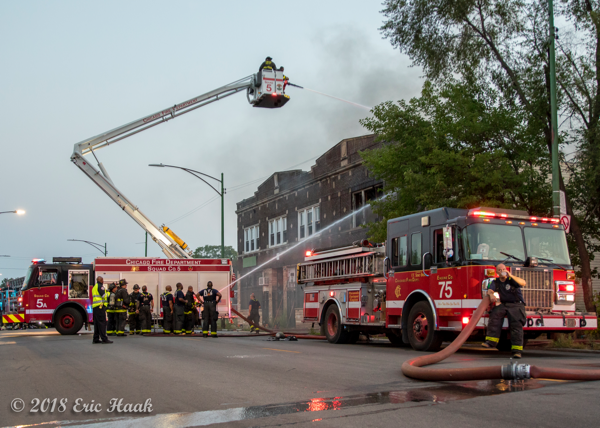 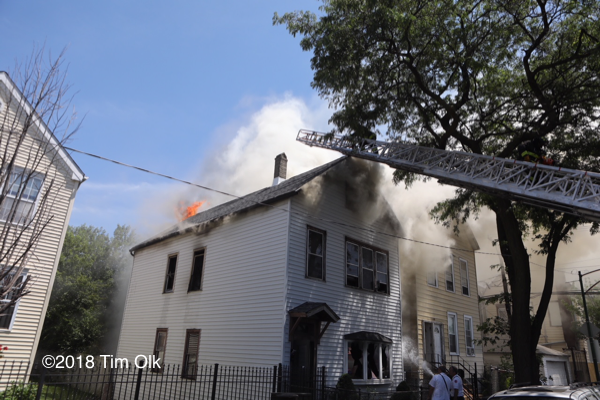 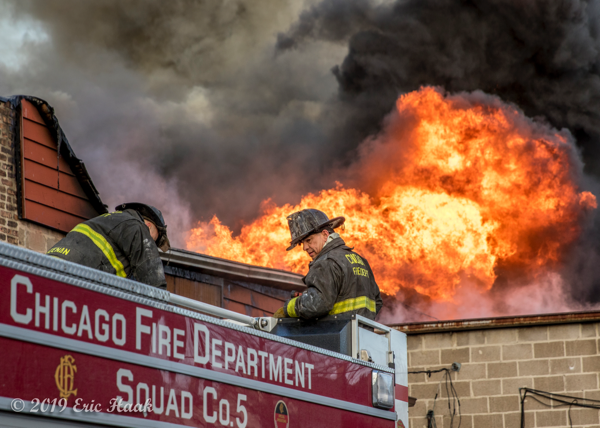 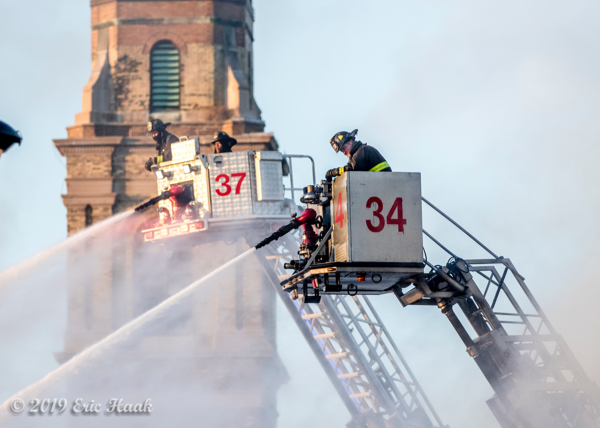 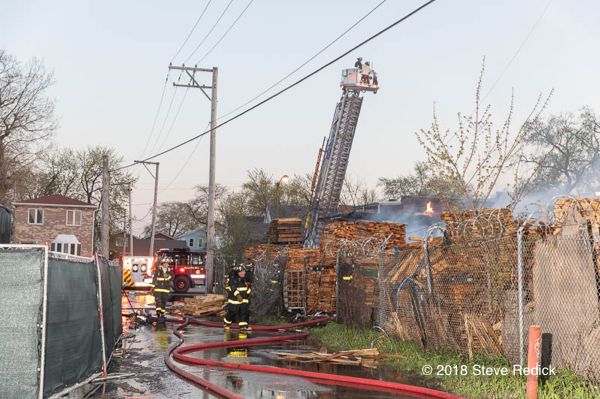 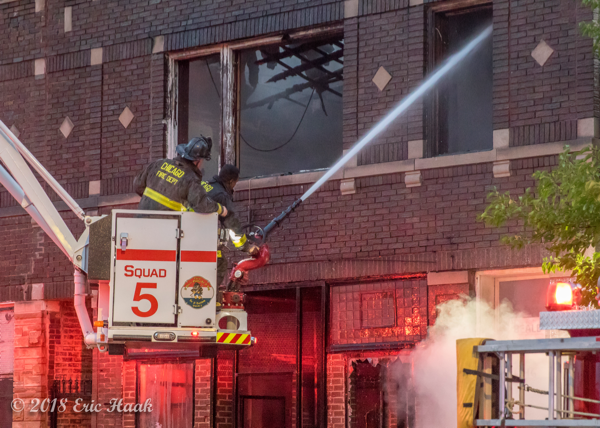 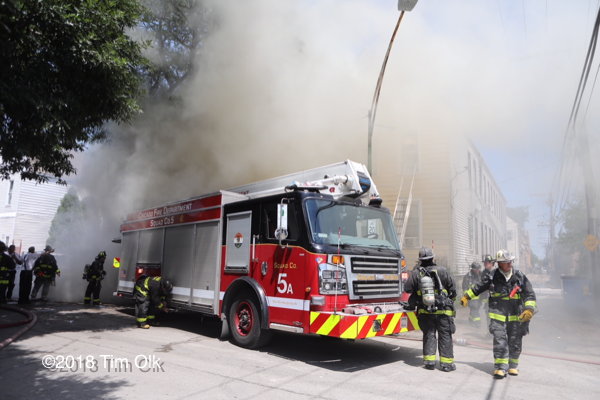 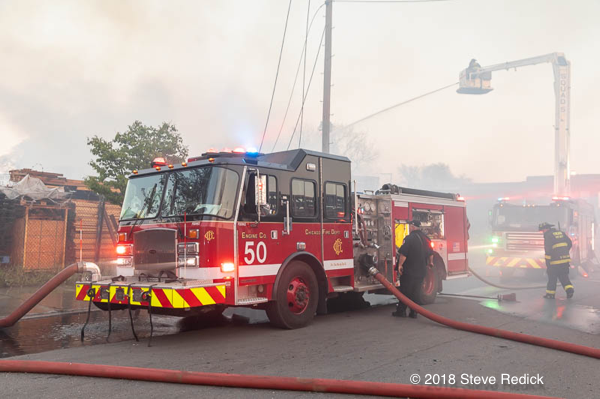 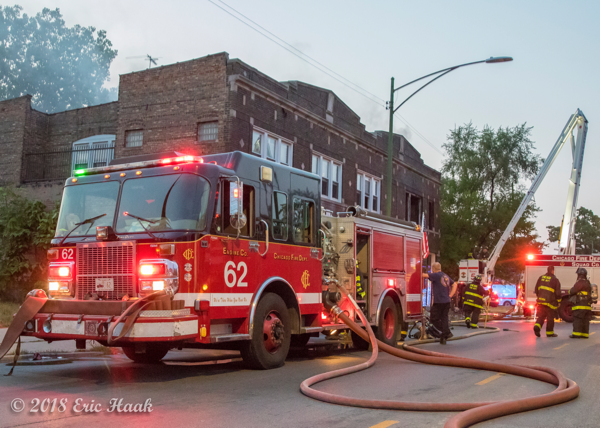 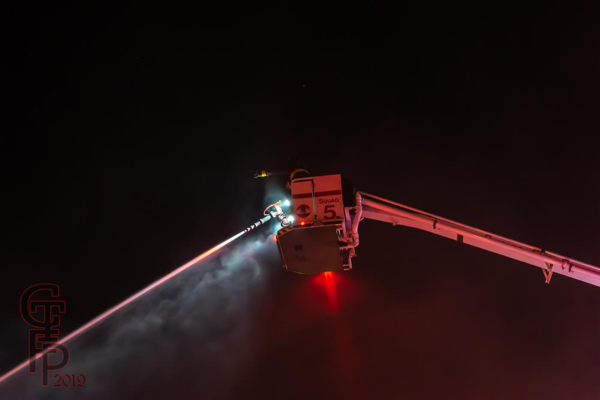 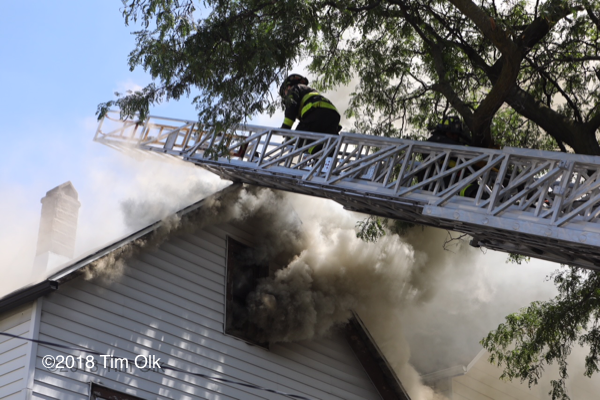 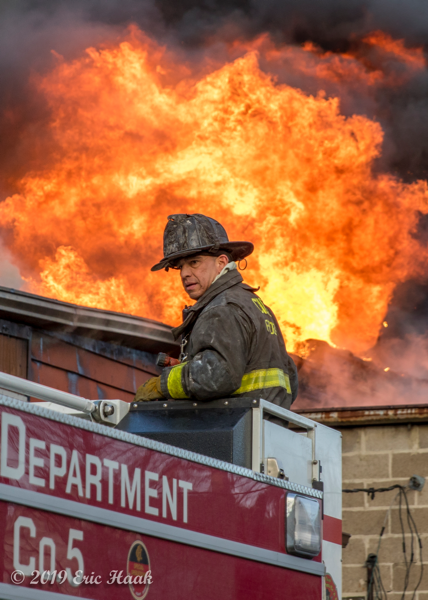 Here are a few images from a Still & Box alarm fire in Chicago Sunday evening (08/12). 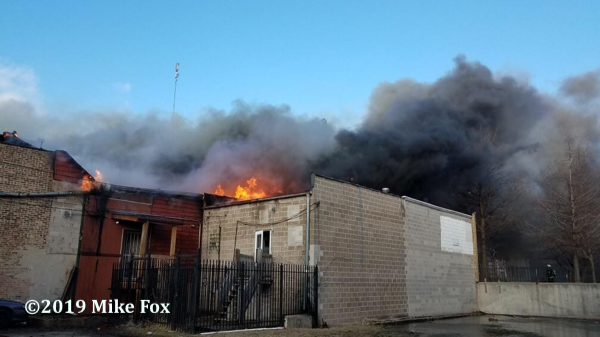 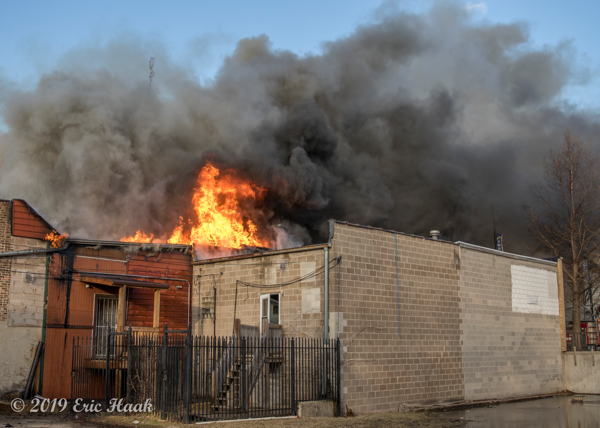 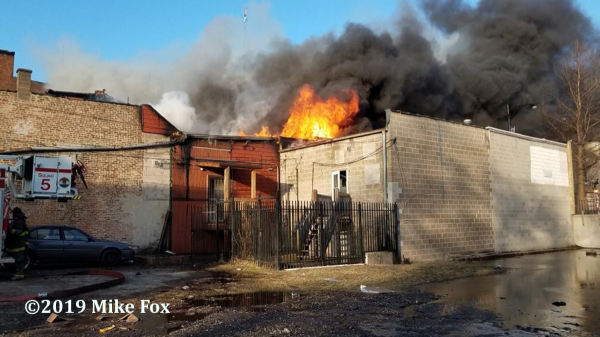 The fire at 117th and Michigan came in shortly after 7:00 and was in the basement of a vacant apartments over commercial structure. 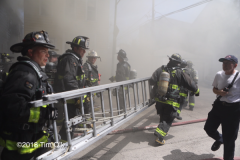 Companies eventually went defensive and I arrived way after most of the fire was out. 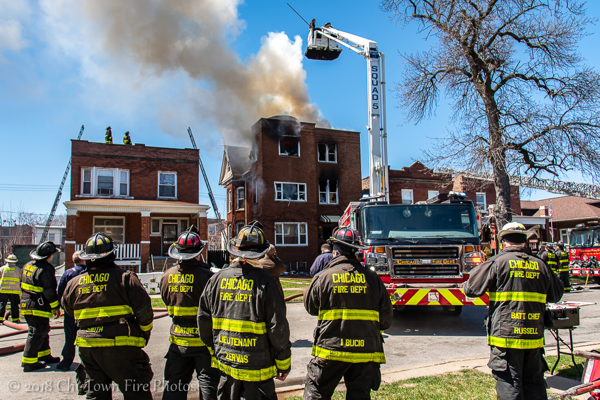 I took in this job @ 7142 s Vernon on the south side Wednesday. 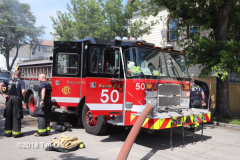 Fire in a 3-sty ordinary, with bad hoarder conditions. 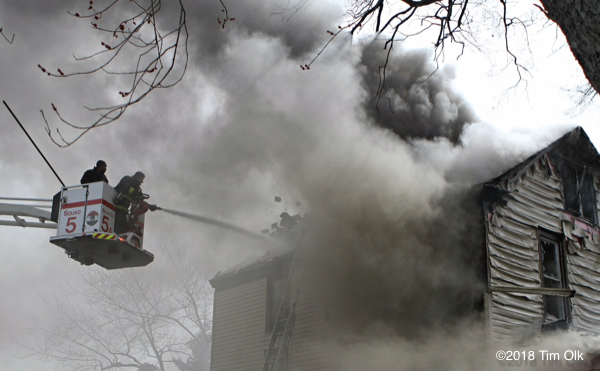 Companies attempted to make a push but were unsuccessful. 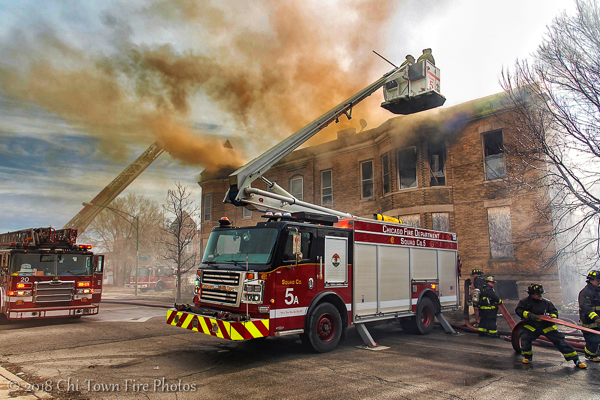 Crews went defensive using point advantages on both side exposures, 2.5” lines in the rear, and Squad 5’s Snorkel. 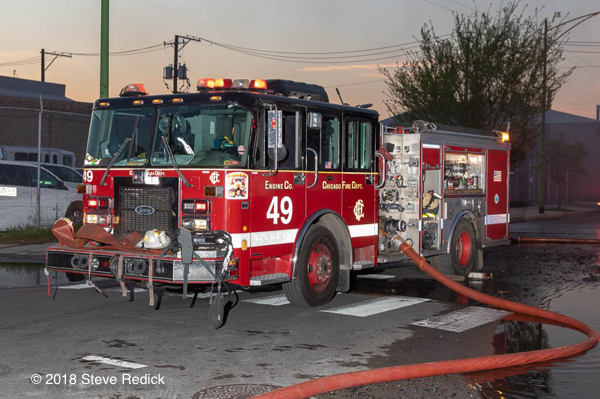 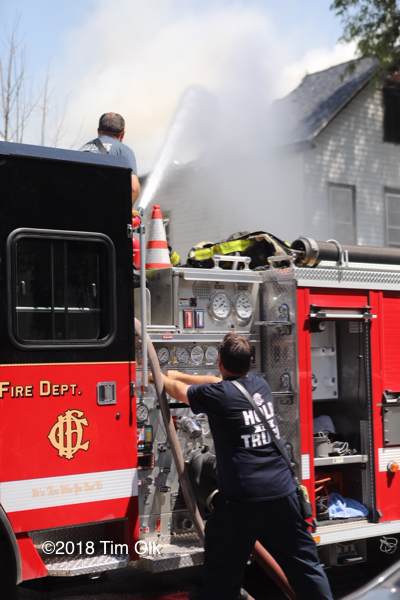 Engines 47 and 54 were both using their deck guns on arrival. 122 was on the C side in the alley. 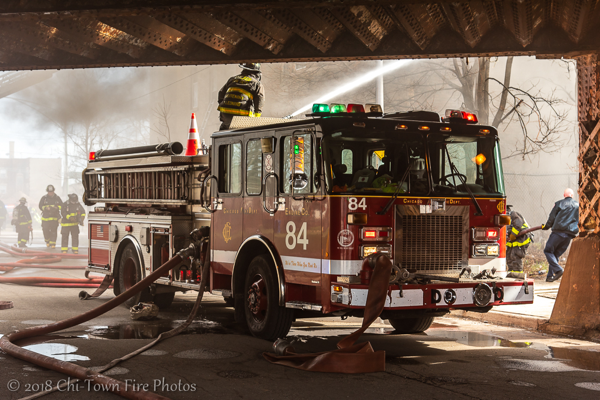 63 was the 4th engine and was never put to work. 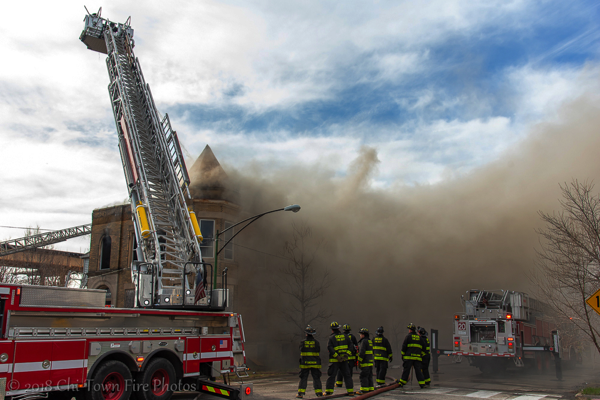 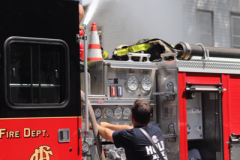 Here are a couple shots from the fire yesterday in Englewood. 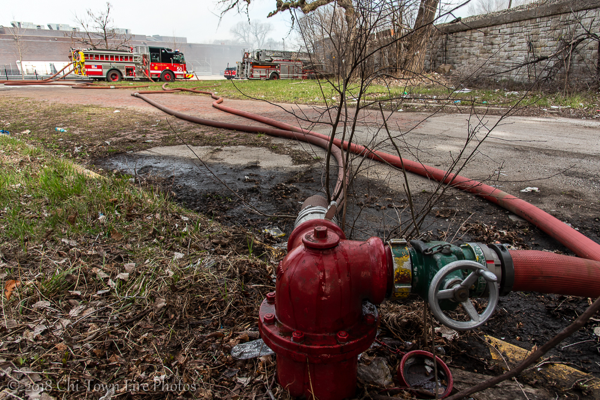 I arrived after most of the fire was knocked down. 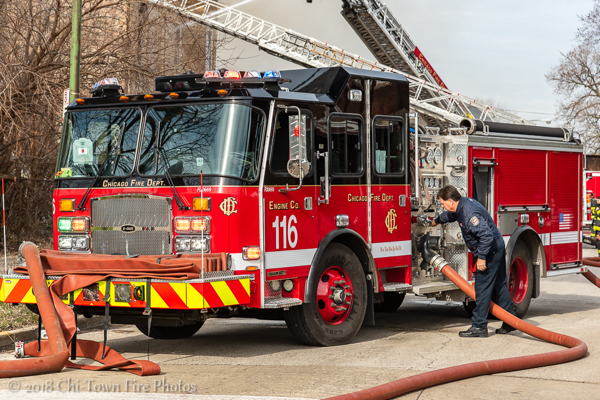 84, 54, 116, and 50 were all pumping with 116 and 50 in their new rigs.